Elko, NV – June 8, 2016 – Lithium Corporation [OTCQB – LTUM] “the Company” is pleased to announce that it has received the initial payment of the San Emidio Exploration Earn-In Agreement, and received notice that American Lithium Corp. (TSX-V LI) is buying all the outstanding share capital of 1067323 B.C. LTD., a private British Columbia company, who recently optioned an interest in the San Emidio lithium brine property in Washoe County, Nevada from Lithium Corporation. American Lithium recently also assumed the responsibilities with respect to a similar option on the Company’s Fish Lake Valley lithium brine prospect. The terms of the agreement are; payment of $100,000, issuance of 300,000 common shares of American Lithium Corp., and work performed on the property by the Optionee in the amount of $600,000 over the next three years to earn an 80% interest in the property. 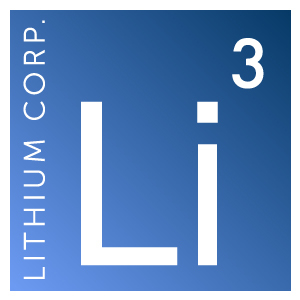 American Lithium then has the option to purchase Lithium Corporation’s remaining 20% working interest within three years of earning the 80% by paying the Company a further $1,000,000, at that point the Company would retain a 2.5% Net Smelter Royalty, half of which may be purchased by American Lithium for an additional $1,000,000. Should American Lithium elect not to exercise the subsequent buy out, a joint venture will be established. For further information with regard to Lithium Corporation, please contact Tom Lewis or Brian Goss at (775) 410-2206 or via email at info@lithiumcorporation.com.